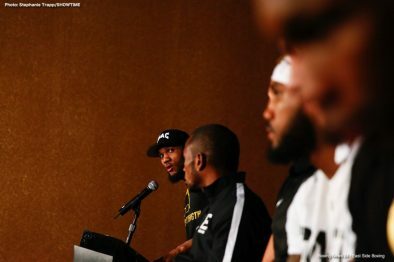 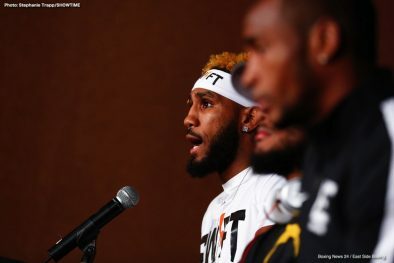 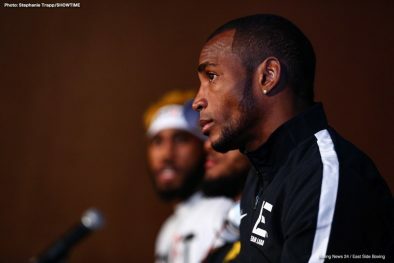 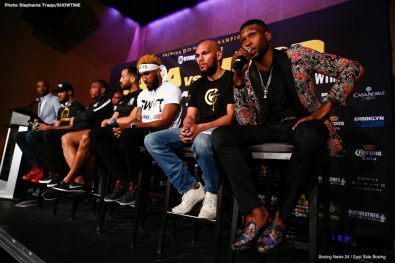 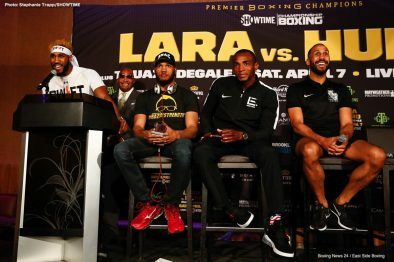 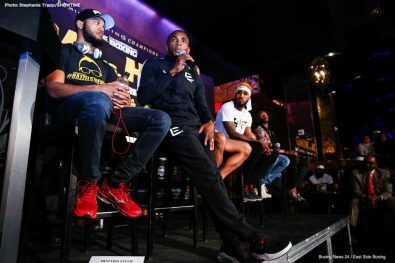 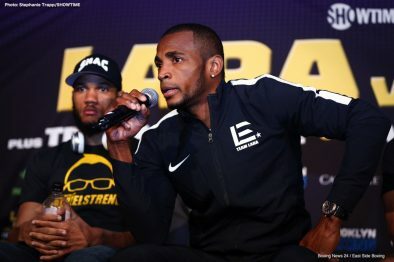 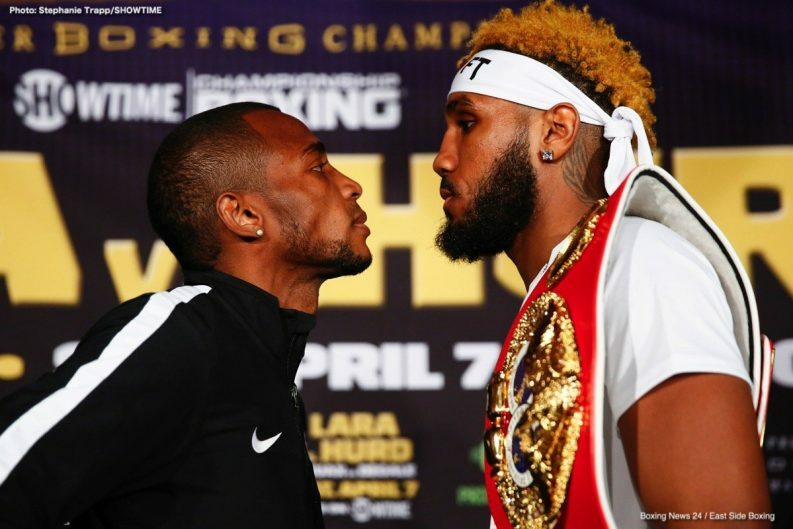 World champions Erislandy Lara and Jarrett Hurd went face-to-face Thursday at the final press conference for their 154-pound world title unification this Saturday, April 7 live on SHOWTIME® from Hard Rock Hotel and Casino, Las Vegas in an event presented by Premier Boxing Champions. 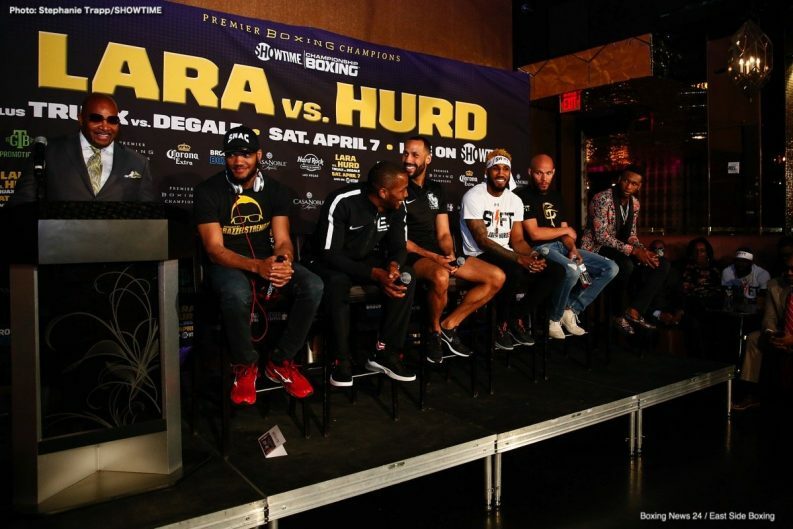 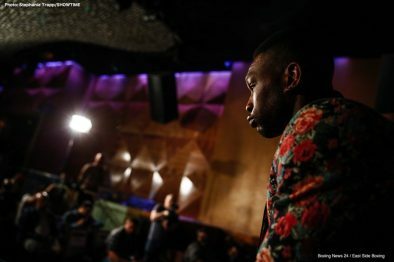 WBA Champion Lara and IBF Champion Hurd will meet for just the sixth unification bout in division history in a fight that will help define the future of the 154-pound class. 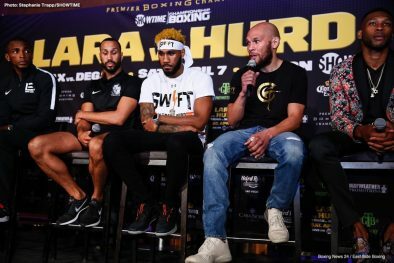 The winner of Lara-Hurd will join Hall of Famers Terry Norris, Felix Trinidad, Oscar De La Hoya and Winky Wright, as well as Canelo Alvarez, as the only fighters to unify 154-pound titles. 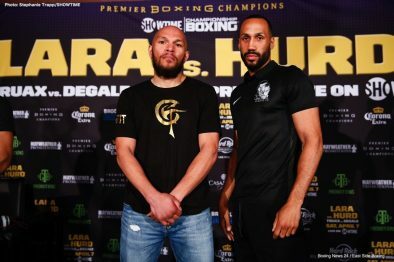 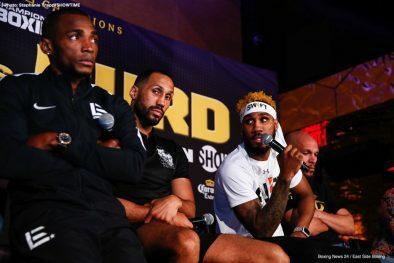 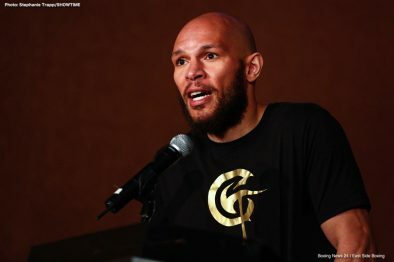 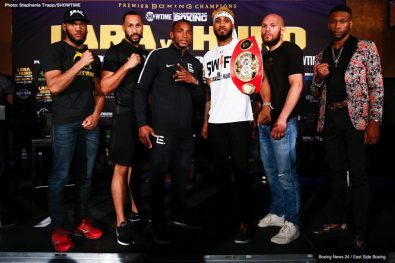 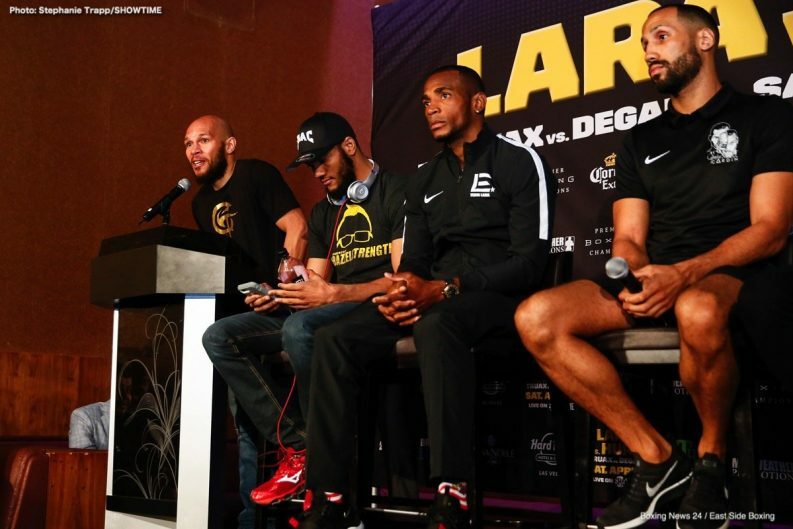 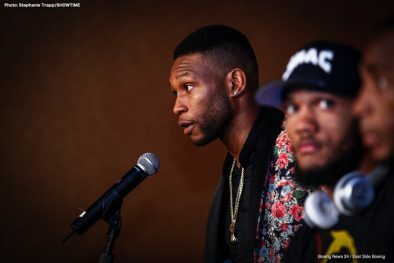 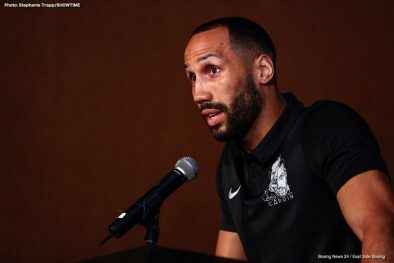 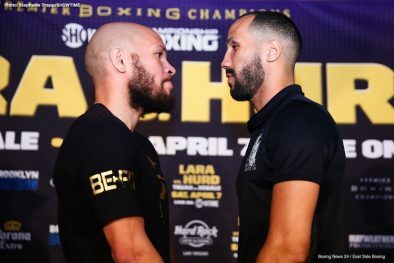 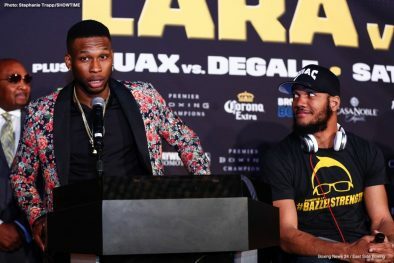 Thursday’s press conference also featured IBF Super Middleweight World Champion Caleb Truax and former champion James DeGale, who meet in an immediate rematch of what was the near-universal upset of the year in 2017. 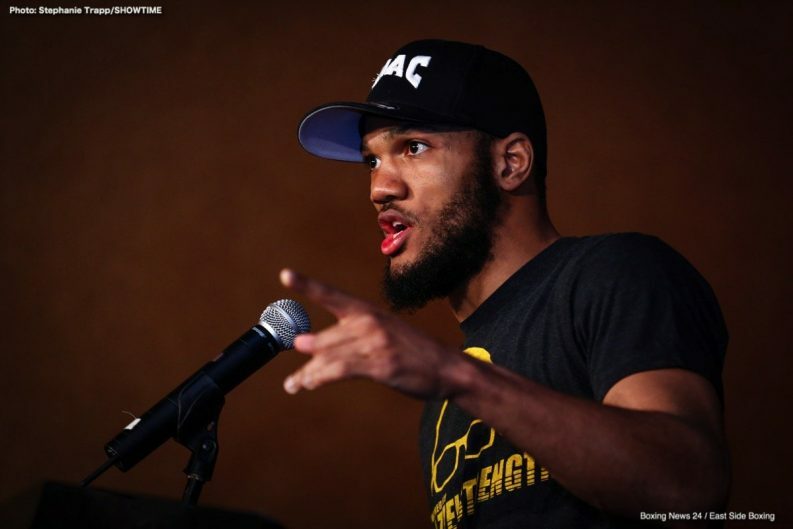 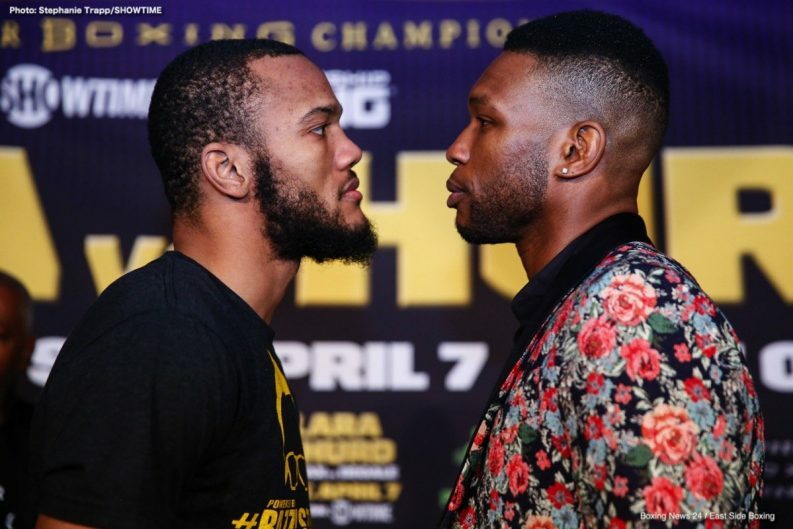 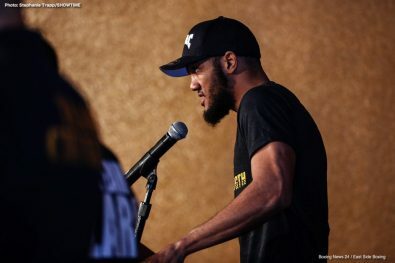 In the opening bout of the SHOWTIME CHAMPIONSHIP BOXING® telecast at 10 p.m. ET/7 p.m. PT, super welterweight contenders Julian Williams and Nathaniel Gallimore will face off in an IBF 154-pound world title eliminator. 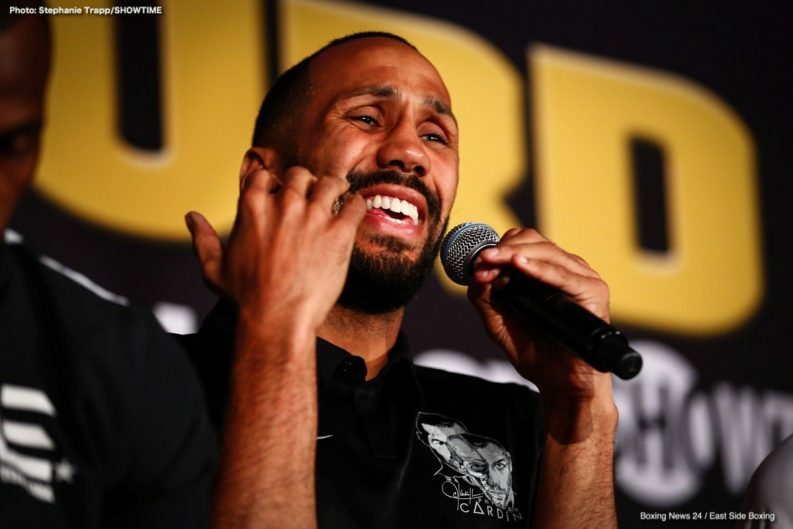 “This is a great card from top to bottom. 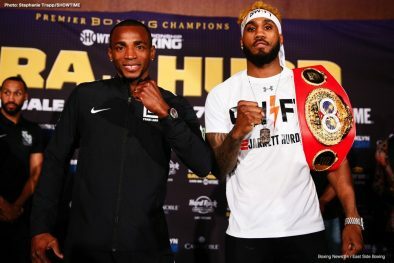 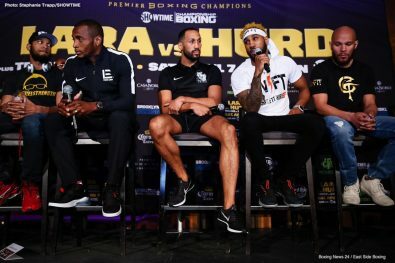 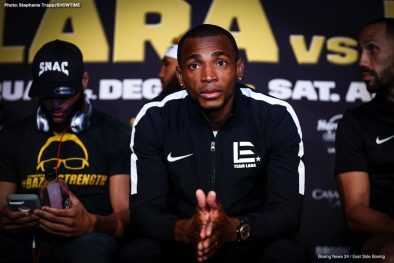 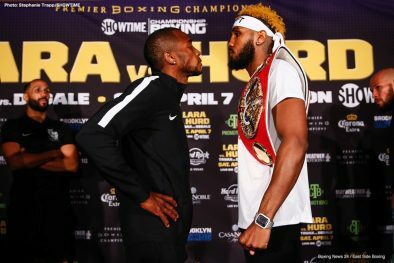 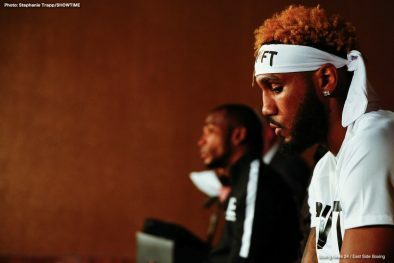 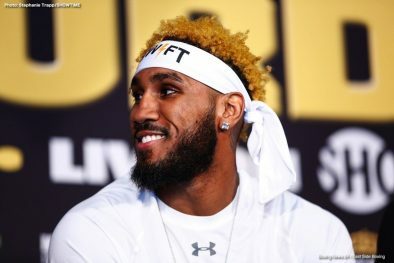 We have none other than the longest reigning 154-pound world champion, Erislandy Lara, taking on one of the toughest tests of his career in the very exciting, young and hungry world champion Jarrett Hurd. 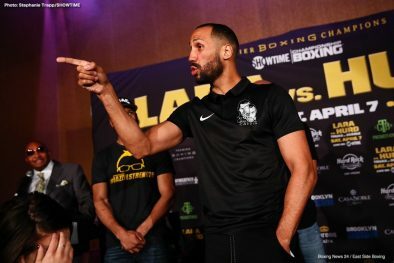 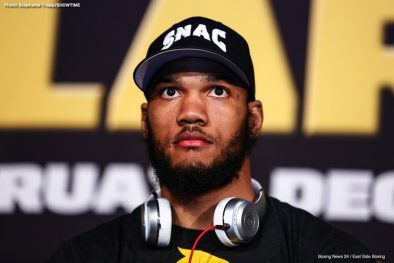 “The co-main event is another important fight with a rematch featuring Caleb Truax, who will be looking to hold on to the belt he took from James DeGale last year, while DeGale will look to get back to where he was before they met last December. 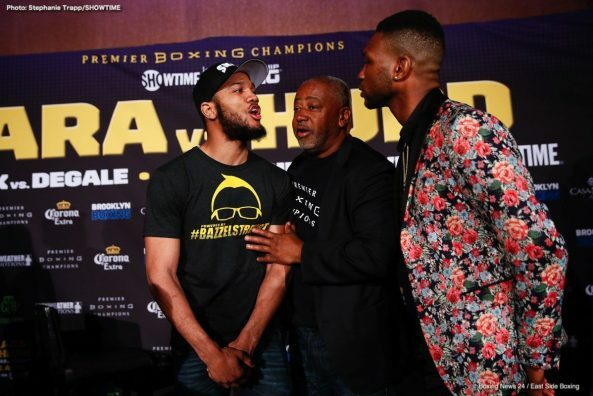 “The show opens up with a high-octane 154-pound title eliminator with Julian Williams and Nathaniel Gallimore. 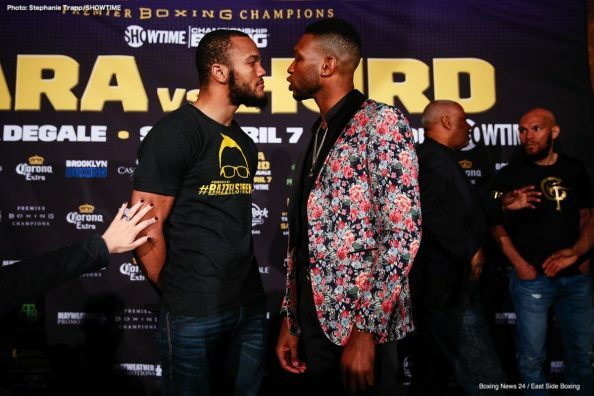 This is the fight that could really steal the show. 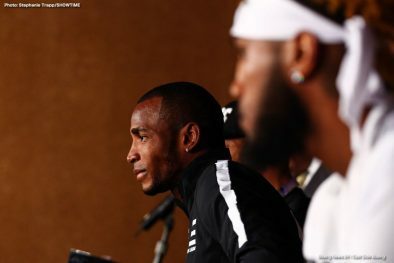 The winner of this fight will no doubt have their eye on the winner of Saturday’s main event.